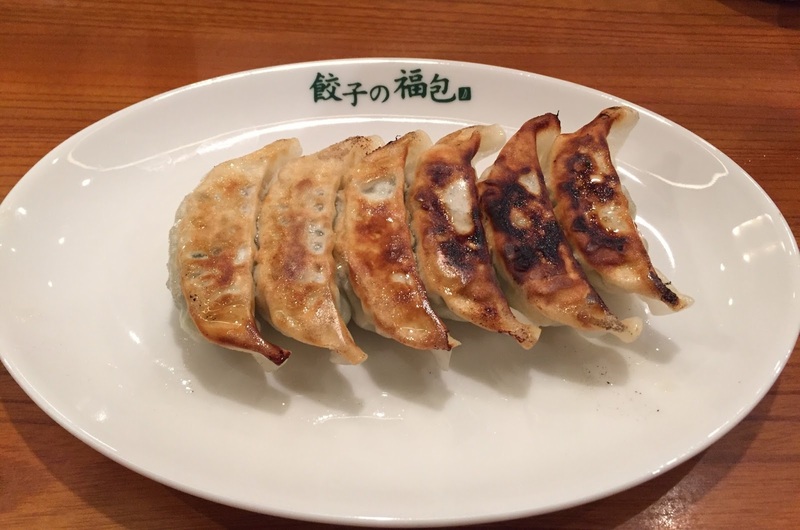 I'd been always interested in trying "Gyoza No Fukuhou (餃子の福包)" near Shinjuku Gyoen-mae station in Shinjuku. 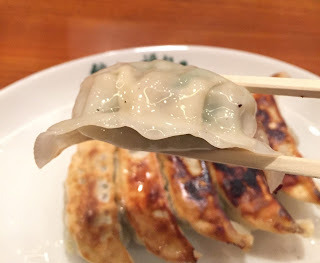 Gyoza is a dumpling and people say Yaki Gyoza (焼き餃子, "grilled" is the literal translation but it actually uses oil to fry the bottom and hot water to steam) was born in Japan while the original dumplings in China are boiled dumplings. On a week night, I decided to go there and though I arrived at 9:21 PM, there're 5 people ahead of me. 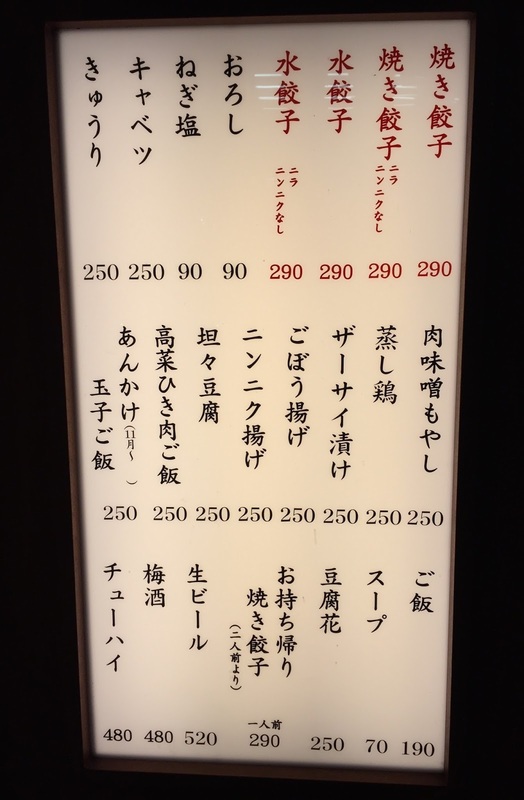 Menu board was lit up outside, and they have both fried and boiled dumplings. Both types have no garlic and leeks options. I was seated at 9:40 PM (waiting time was 20 minutes) and many of the customers were large groups and a group of 2, and majority of them were drinking. 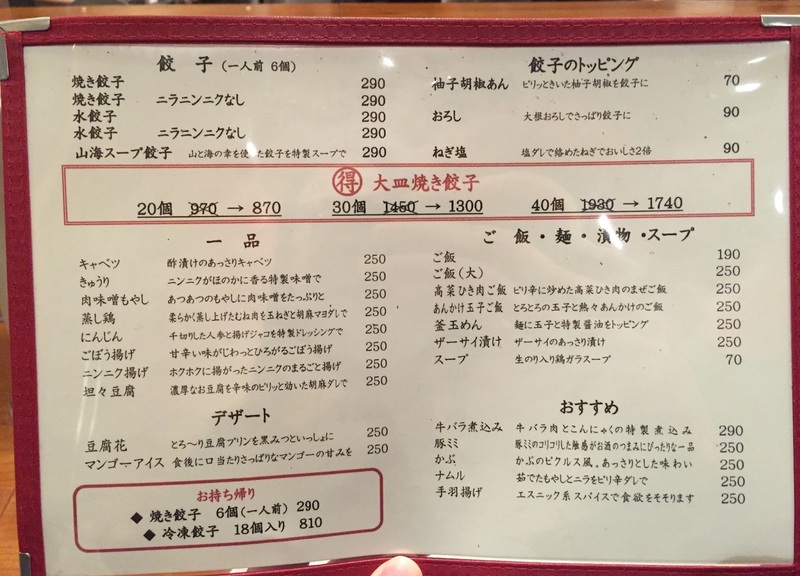 The menu inside had more items. There're 5 griddles with covers and 3 faucet between them to pour water to steam the dumplings, and the faucets were able to change the directions so that one could be used for 2 individual griddles on each side. First I ordered Yaki Gyoza (6 pcs) and it's a so-called "normal gyoza" that contains garlic and leeks which are common to be used in gyoza. 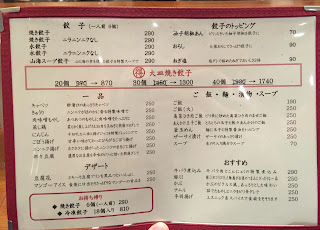 In about 5 minutes, the gyoza was served. The dumplings were unevenly fried, and 3 pieces were a bit before getting burnt and the rest was subtly browned. I could see vegetables through the thin dumpling wrap. Ground pork mixed with vegetables was lightly salted and it's juicy. Though these were made with garlic and leeks, they're not that stinky. I saw them pouring quite a lot of oil when they're cooking, but they're not that oily. They're less unevenly cooked and subtly browned. 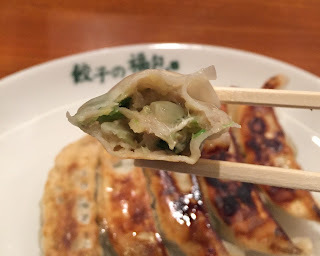 I enjoyed the crispy bottom, thin dumpling wrap and juicy filling, but I didn't find it's worth more than 30 minutes wait because there's nothing distinguished or special about their gyoza but just cheap. Another reason I may not go back here is because any seats are allowed to smoke, and unfortunately I ended up the seat next to smokers and the smell pretty much made me lose the appetite. I wish the place was non-smoking (maybe during lunch time it is) or at least the smoking area was separated.